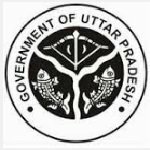 UPSESSB Teacher recruitment 2016-17 Notification apply for 7950 posts : Uttar Pradesh Secondary Education service selection Board (UPSESSB) Lucknow welcomes application for the position of 7950 Prishikshit Snatak (Trained – graduate teacher) vacancies in various subjects. .Candidates who completed their Graduate , B.Ed., BT is a good opportunity.The individuals who are the occupation seekers searching for govt employments in Uttar Pradesh this is the best chance to apply. Competitors read the official notification then read all the guidelines and miners precisely then apply before the last date online application got. All the interested and eligible candidates can apply online before 27th July 2016. Candidates Age Limit: The age of the candidate should not be less than 21 years and should not be more than 60 years. The age of the applicant should be as on 1st July 2016. Academic Qualification Details: Candidates should have graduate in relevant subject from any recognized university and B.Ed. or LT or BT degree or equivalent from a recognized university. Details of Fee particulars: All the interested and eligible candidates are need to pay application fee Rs 625/- for Un – reserved categories candidates / other backward class categories candidates and Rs 375/- for schedule caste categories candidates (SC) / schedule tribe categories candidates (ST). Applicants submitted application fee through state bank of India e-collect only. Official website: All the interested and eligible candidates can apply online through official website of Uttar Pradesh Secondary Education service selection Board (UPSESSB) http://pariksha.up.nic.in from 6th June 2016 to 27th July 2016 for part – I and up to 30th July 2016 for part – II. Important Dates: Starting date for the submission of online application is 6th June 2016. Last date for the submission of online application for Part I is 27th July 2016. Last date for the submission of online application for Part II is 30th July 2016.